In the manner of so many supernatural tales, Blackwood begins with its protagonist, Ben Marshall (Ed Stoppard), relocating to a remote country pile looking for a fresh start. Following a nervous breakdown, Ben moves to the isolated Blackwood estate, accompanied by his wife Rachel (Sophia Myles) and son Harry (Isaac Andrews). When he's tormented by visions of blood and death his family life starts disintegrating: is Ben's sanity crumbling once again, or is the house really haunted? As his paranoia rises Ben convinces himself he's witnessing apparitions from the past and begins investigating Jack (Russell Tovey) – an ex-military man suffering from PTSD – and local priest Father Patrick (Paul Kaye), while a mysterious owl-faced boy seems to be the key to the sinister secrets that lurk within this archetypal old dark house. With a background in television comedy, documentaries and game-shows (his diverse CV includes Ant & Dec's Saturday Night Takeaway and The Real Hustle) debut feature director Adam Wimpenny has a surprising grip on atmosphere. Visually Blackwood is filled with rich autumnal colours, foreboding woods and thick shadows. It's just a shame it's littered with tired clichés: dank cellars, flickering lights, unexplained footsteps and door handles that rattle in the dead of night. Wimpenny once again collaborates with writer JS Hill (after their impressive short Roar) who seems content to plunder the archives rather than bringing anything new to the table. The script also stumbles when it comes to characterisation; you need to at least like the lead, but Ben is temperamental and irritable throughout. What makes it even more disappointing is that a spark of intelligence is evident at the film's heart, with the pieces of the puzzle falling into place in a supremely satisfying manner (even if the ending itself is fairly anticlimactic). Unfortunately by then it's too little too late – Blackwood's adherence to convention leaves it feeling strangely old fashioned. 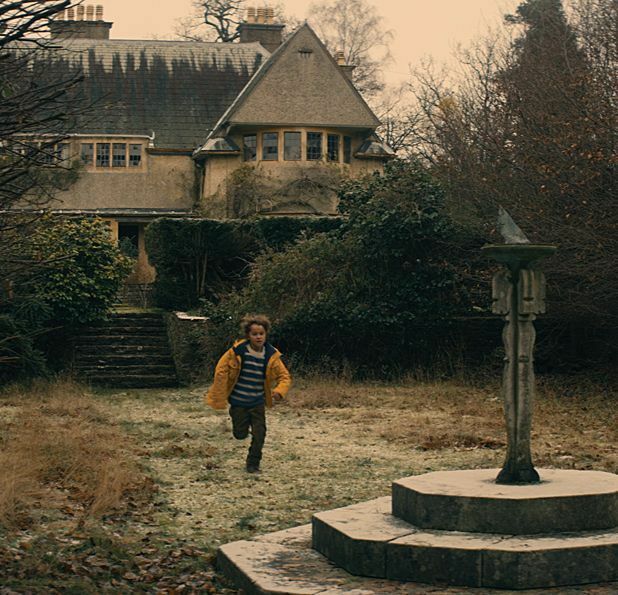 Selected release from Fri 1 Aug.
College professor Ben (Stoppard) moves his family to an isolated house, and is tormented by visions of blood and death. Conventional Old Dark House thriller, spoiled by reliance on clichés (dank cellars, flickering lights) and an uninteresting central character.